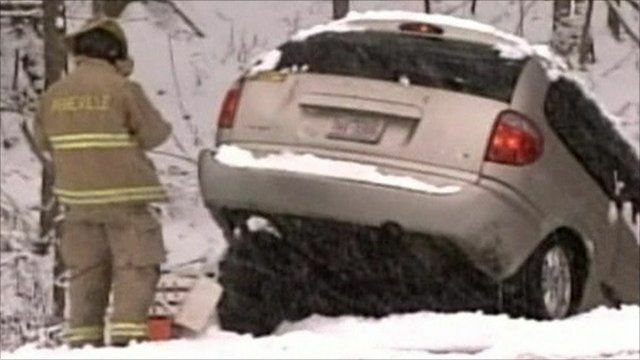 US hit by heavy snow storms Jump to media player A storm travelling up the East Coast of the US is predicted to bring blizzard conditions to New York City. 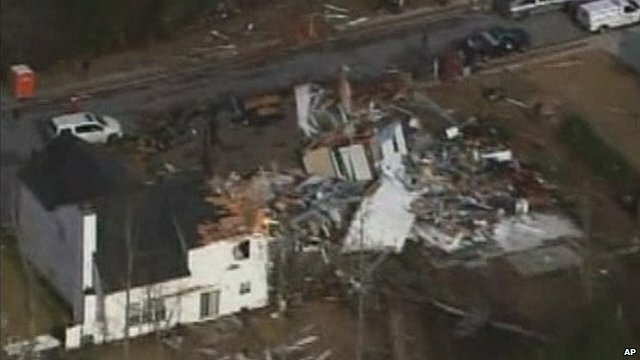 Tornado sweeps through US town Jump to media player A tornado has swept through the town of Buford in the US state of Georgia, damaging more than 50 homes. 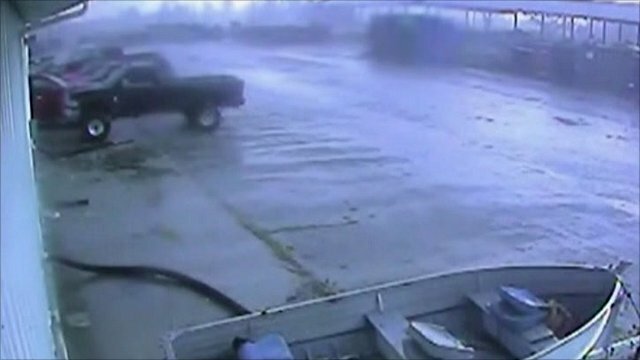 US tornado caught on CCTV Jump to media player A CCTV camera caught the moment a tornado swept through a town in Indiana, after a night of bad weather in the US Midwest. Severe flooding hits California Jump to media player Homes have been flooded and people have had to be rescued after severe flooding hit California and several other US states. A heavy snow storm travelling up the US East Coast has given North Carolina its first white Christmas in decades. Hundreds of flights have been cancelled across New York, Washington and Boston and several states to the south have declared states of emergency. The storm is predicted to bring blizzard conditions to New York City.